Ahh, Rome! The home of pizza, pasta and… tourists. 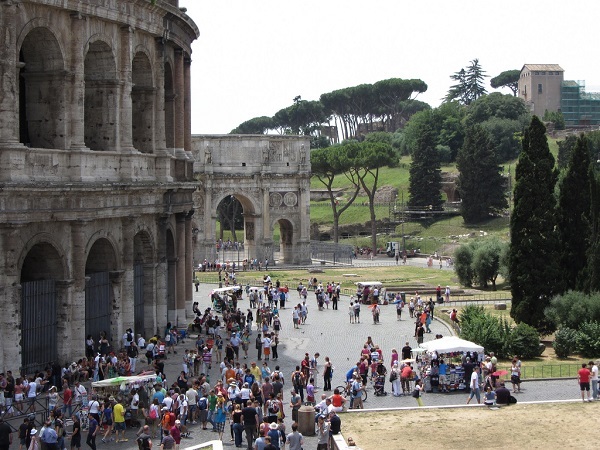 As one of the most visited cities in Europe, it’s pretty much expected that a trip to Rome, Italy, will involve crowds of people and lining up for hours on end. But, what if we told you it doesn’t have to be that way? 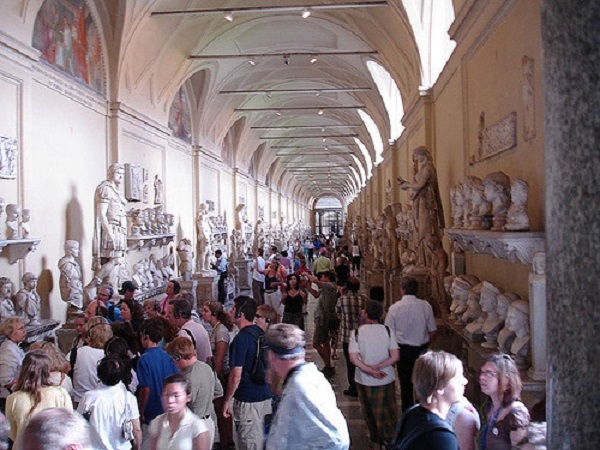 There are a few sneaky tricks to share so that you spend more time gazing at the frescoes of the Sistine Chapel and wandering through the Colosseum, than standing in a queue outside. Plus, less people-dodging also means more time for gelato, which definitely classifies as a win-win scenario! If you’re the type of traveller who wants to hit up the main Rome attractions, skip the lines and save a Euro or two, it’s well worth considering the benefits of purchasing an all-inclusive tourist pass. There’s a few to choose from, including the Rome City Pass, Roma Pass and Omnia Vatican and Rome Card, but all offer fast-track entry, free use of Rome’s public transport system, access to hop-on, hop-off bus tours, and some pretty impressive admission discounts. Most of the passes are valid for 72 hours, so they’re also ideal if you’ve only got a limited amount of time in Rome, and want to pack as much sightseeing as possible into your itinerary. This one’s for people visiting the Colosseum, which, to put it simply, is a magnet for the tourist hordes. 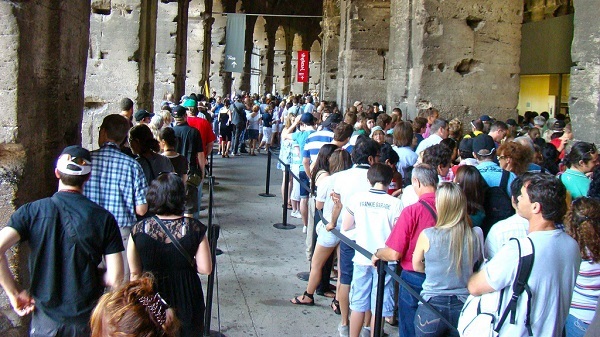 The trick to avoiding those snaking lines is to purchase your Colosseum ticket from the Roman Forum entrance. The Roman Forum and adjacent Palatine Hill are a mass of ancient ruins, shrines and temples dating back to the Roman Empire, and grabbing a ticket to view these historic relics also gives you immediate access to the Colosseum. While the locations around the Forum are undeniably important and interesting sites, they’re far less popular than the Colosseum, and there’s rarely a line for tickets. So you know what to do; grab a ticket at the Roman Forum, head over to the Colosseum and waltz right on in – it’s as simple as that! Just be sure to come back to the Roman Forum later on. So the sun’s starting to dip and aperitivo is in full swing; sounds like the perfect time for an Aperol Spritz, right? Wrong. This is the exact moment you should be hot-footing it to the Colosseum or the Vatican for an exclusive night tour. These guided tours may cost a little bit more than your average pre-booked excursion, but they are well worth the extra money. No noisy crowds means you can actually take the time to appreciate the beauty of your surrounds, and there’s no chance of being hit with a stray elbow as someone pushes past. It’s also not unusual to get access to areas the general public normally don’t, which is an especially cool bonus. Plus, there’s just something magical about seeing the Colosseum bathed in moonlight, or wandering alone through the quiet halls of the Vatican. It’s the oldest trick in the book, but there’s no denying it works; arriving early to famous Rome attractions really does make a difference when it comes to avoiding crowds. And the best way to use this to your advantage is when visiting the Sistine Chapel. What you need to do is turn up first thing in the morning and secure your Vatican tickets. Savvy Vatican experts know that the Sistine Chapel is located near the exit, so if you head that way first you’ll find it completely empty. It certainly makes for a pretty special Rome experience, having the gorgeous Sistine Chapel almost all to yourself. And of course you can always go back to the beginning when you’re done, so there’s no need to stress about missing the rest of this historic site. And if you want to do the obligatory Rome tourist thing and throw a coin in the Trevi Fountain, visiting late at night is the way to go. It looks far more beautiful at night when lit up anyway, and you won’t have to fight your way through a five-metre-deep sea of tourists either! While there’s nothing quite like seeing the Colosseum, Vatican City or Trevi Fountain for the first time, there’s so many more things to see and do in Rome in addition to these iconic attractions. From sprawling gardens to hidden galleries and lesser-known Roman ruins, these are the places that offer a glimpse into the real Rome. 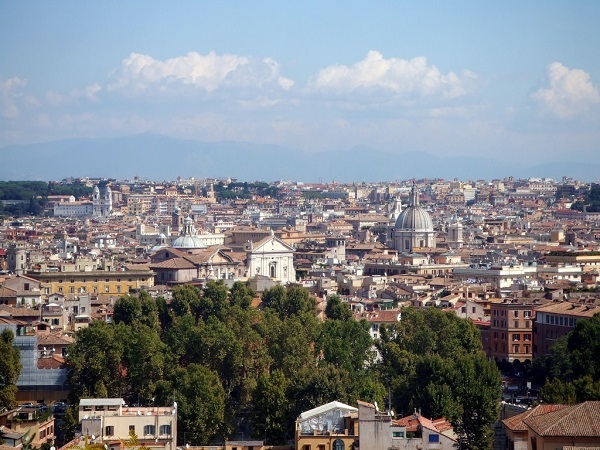 We recommend Janiculum Hill for views of Rome that will take your breath away (it’s also a great picnic spot), the Villa Borghese gardens, Rome’s largest public park, and the Pantheon, which despite being quite a well-known spot, never seems to be too crowded. Test these travel tips for Rome attractions out for yourself by booking flights to the Eternal City with Webjet. You could even end up with extra spending money in your pocket – perhaps to put towards one of those exclusive after-dark tours?